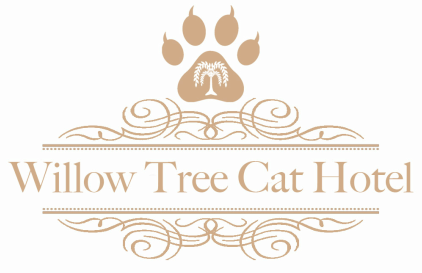 Willow Tree Cat Hotel is a bespoke and luxurious, family run boarding establishment designed and constructed around the security, comfort and needs of its feline only guests. We will be delighted to give new customers a guided tour of our facilities during the hotels published opening hours, but in the interest of guest security, we politely insist that viewings are by prior appointment only. ​18 bespoke and luxurious family suites. Each suite comprises a large bedroom with a light and spacious exercise area overlooking a central garden courtyard. Weather permitting, fold down windows in the secure passageways allow a semi-outdoor experience for our guests to enjoy. ​A number of the suites have been designed for long term guests. These suites are licensed to accommodate up to 6 guests from the same family. ﻿Set in the quiet, rural hamlet of Marton in Shropshire and situated just 8 miles to the north of Shrewsbury, our hotel is easily accessible from all points within the county as well as North Wales, Cheshire and beyond. ​If you require long term boarding accommodation suitable for your family member, but have concerns about the standard of facilities available in your location, we are able to provide a 'long distance' collection and return service to and from the hotel. As lifelong pet owners we realise that entrusting a beloved family member into someone else’s care can be daunting. 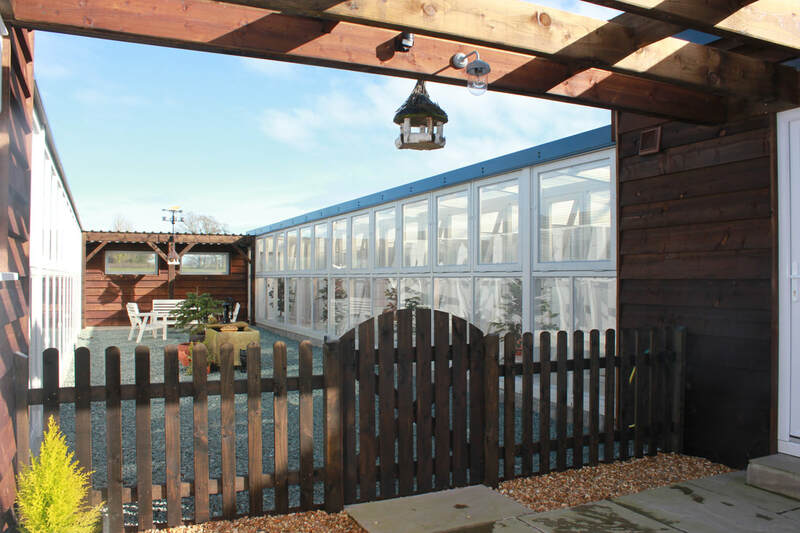 Our ethos is to provide a service that offers the customer complete peace of mind. We are committed to providing the highest possible standards of safety, comfort and security to our guests. ​Our daily focus is on creating an environment whereby every guest feels stimulated, content and completely at home with us at Willow Tree Cat Hotel. ​Please feel free to contact us at any time. Messages can be left either by text or voicemail on Sally's mobile (07989 795151) or on the residential landline (01939 262879). General enquiries can be emailed via the contact form below by completing the highlighted fields * and clicking on the ‘Submit’ button. Immediate bookings can be made via the 'Online Booking' page (click to open) and will be acknowledged by email on receipt.